When faced with an opportunity to do a good deed, will you seize it right away or will you think twice? This is the question posed by the Bayani ng Kalsada program, Goodyear's nationwide search for Philippine drivers who act above and beyond their call of duty. The program is open to all professional drivers of both public utility vehicles and private drivers for individuals, families, or companies. The Bayani ng Kalsada program was inspired by Goodyear North America's Highway Hero program that basically follows the same tenets as our local counterpart; to recognize drivers whose good deeds are second nature to them, and who are good Samaritans whenever the situation calls for it. "A lot of times, we see road accidents on the news telling everyone who was involved in it, who was hurt. But we hardly ever find out who were the people who helped those involved in the accident. 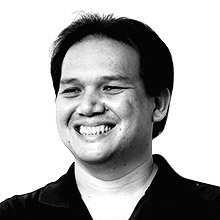 And that's something we'd like to change with the Bayani ng Kalsada program," Goodyear Philippines' marketing director Ramon Barredo said. The winners for Bayani ng Kalsada's third edition were private drivers Rogelio Bolinto and Eduardo Hagad, jeepney driver Jose San Jose, and taxi driver Juan Manalili. Bolinto helped a pastor whose car broke down by the side of a road while he was on his way to La Trinidad with his wife. Hagad assisted two girls in the middle of the night at a dark part of the South Luzon Expressway by lending them money to have their car towed to a safer place without expecting to be paid anymore. San Jose returned a Manila envelope full of cash and important documents to a regular lady passenger. He waited by the area where the said passenger always alights from his jeepney so he could return the items. Manalili, a sprightly old man at 84, helped a young student whose car broke down on his way to school. "These are the men who do not see the need to explain why they have to do something good. They just know, in their guts, that the specific circumstances they found themselves in required them to go out of their comfort zones and lend a hand. 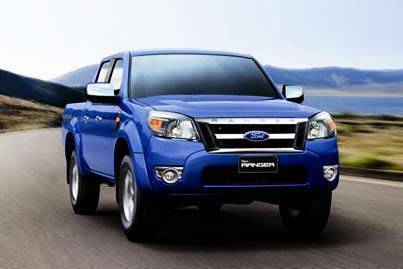 And they do so without missing a beat," said Goodyear Philippines president David Morin. 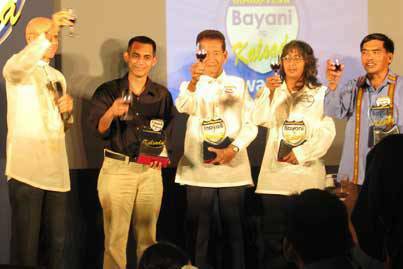 The judges for the the 2008 Bayani ng Kalsada awards were veteran motoring journalist Butch Gamboa, Pilipino Star Ngayon's Ron Tamayo, Land Transportation Office assistant secretary Gerardo Pinili, Standard Insurance's Jie Combalicer, and Grace Perasbo of Cebuana Lhuillier. Each winner received P30,000 cash prize, P500,000 worth of Standard Insurance's personal accident insurance, P10,000 Cebuana Lhuillier cash card, P10,000 Caltex Starcash card, a Filtrepreneur food cart worth P10,000, and P3,000 worth training certificate from Centro Negosyo as well as other gift items from Revicon Forte and Goodyear.